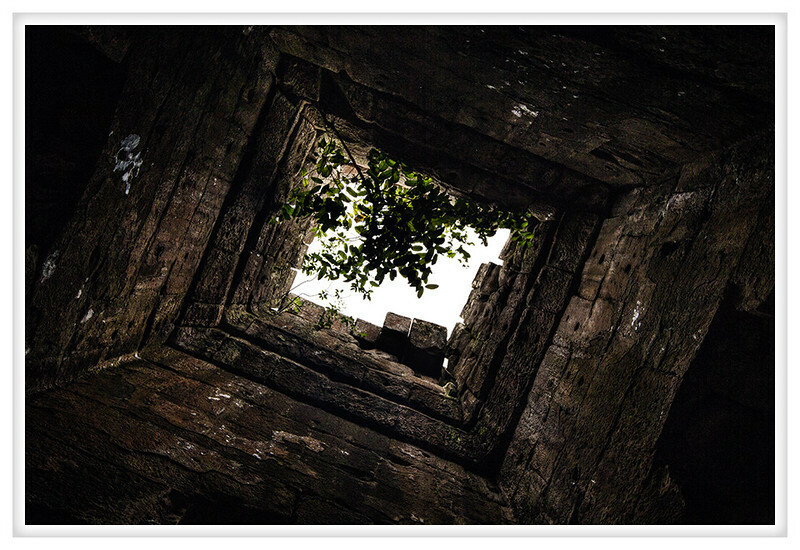 I took this picture inside one of the towers at Ta Keo, the bad omen temple. After lightning struck while under construction work was abandoned as the strike was considered a sign of the disfavor of the gods. Most of the foundation structures were completed but there are no carvings such as those seen on every other temple in Angkor. Here a small tree has managed to find purchase between the stones and, if unchecked, may bring down the entire tower.